Stephen Gray Wallace has broad experience as a school psychologist and adolescent counselor. He currently serves as president and director of the Center for Adolescent Research and Education (CARE), a national collaborative of institutions and organizations committed to increasing favorable youth outcomes and decreasing negative risk behaviors. He is also co-founder of CampTelligence, a research and consulting group serving the summer camp industry. 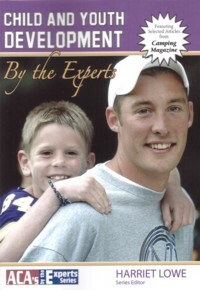 As the past national chairman and chief executive officer at SADD (Students Against Destructive Decisions), director of the SADD Teens Today and teen driving research projects, professor at Mount Ida College and Susquehanna University, parenting expert at kidsinthehouse.com, NBC News, RANE (Risk Assistance Network and Exchange) Teen Safe and WebMD, he is a high-profile participant in, and commentator on, the modern-day adolescent experience. He also serves as a writer for Camping Magazine, HuffPost, kidsinthehouse.com, LinkedIn, NBCUniversal, Psychology Today and TeenLife Media. Stephen is a member of the professional development faculty of the American Academy of Family Physicians and the American Camp Association. Stephen has held positions in the Psychological Services Department of the Palm Beach County, Florida, public schools; the Pupil Personnel Services Department of the Millis, Massachusetts, public schools; and the Adolescent Psychiatric Unit of Fair Oaks Hospital in Summit, New Jersey. He served on the conference faculty of the Miami Children’s Hospital Division of Adolescent Medicine, was appointed as a member of the Massachusetts Gubernatorial Task Force on Sexual Abuse and Assault, and was formerly a member of the board of directors of the National Commission Against Drunk Driving. 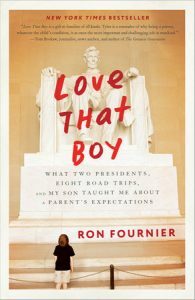 Is featured in numerous books, including Love That Boy, by Ron Fournier, Where Should I Sit at Lunch? The Ultimate 24/7 Guide to Surviving the High School Years, by Harriet S. Mosatche and Karen Unger, and Child and Youth Development edited by Harriet Lowe. Has conducted national radio and television tours sponsored by Boston Market, Liberty Mutual Insurance and the White House Office of Drug Control Policy reaching millions of listeners nationwide. Has presented keynote addresses in more than thirty states and speaks frequently at conferences, which have included the following. National DUI Enforcement Symposium – Northwestern University Center for Public Safety. Stephen is also the principal of Summit Communications Management Corporation, a marketing and government relations consulting firm located in Palm Beach County, Florida. His regional and national clients have represented such industries as telecommunications, energy and consumer products. Previously, Stephen served as Undersecretary of Economic Affairs for the Commonwealth of Massachusetts, appointed by Governor William F. Weld. In this role he oversaw policy, planning and management for a number of state agencies, including the Massachusetts Office of International Trade and Investment; the Massachusetts Office of Travel and Tourism; the State Office of Minority and Women Business Assistance; and the Massachusetts Office of Film and Video Development. As Undersecretary he also managed the state’s marketing and advertising programs for business development and retention and served in an ex-officio capacity on the board of directors of the Massachusetts Educational Financing Authority and the Massachusetts Corporation for Educational Telecommunications. Stephen also served Massachusetts as Assistant Secretary of Consumer Affairs and Business Regulation, responsible for policy planning, consumer education, and external communications for the executive office and its nine regulatory agencies, including the Massachusetts Cable Commission, Division of Insurance, Division of Banks, Board of Registration in Medicine, Department of Public Utilities, and Alcoholic Beverages Control Commission. During this time, he chaired or served on a number of gubernatorial task forces covering such issues as public health, underage drinking, the environment, and education. Stephen also hosted a statewide cable television program, Consumer Weekly, and was a regular contributor to local newscasts and radio programs. Stephen also served the Commonwealth as Undersecretary of Economic Affairs working on inbound investment, minority and women’s business and international trade. Before entering government service, Stephen was a business communications and marketing consultant and served as a political advisor to candidates for U.S. Senator, Massachusetts Attorney General, state senator, and state representative.